But wait a second how could it be? The MSM says all the people in the caravan are a pure as snow. 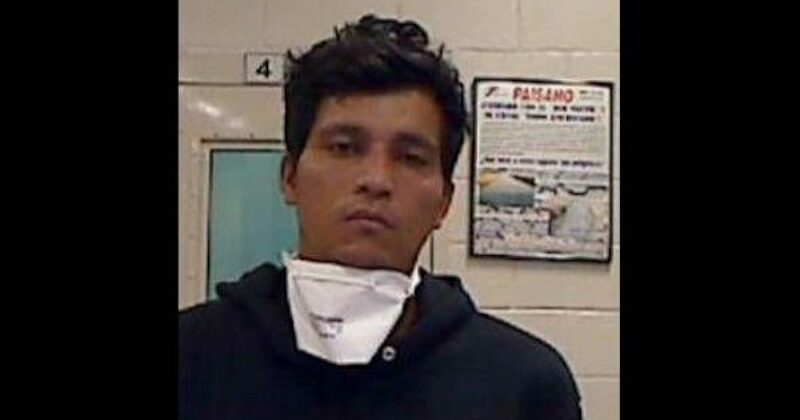 According to the Washington Examiner, an active member of the MS-13 gang admitted to U.S. Border Patrol officials that he joined a caravan of migrants in the hopes of reaching the border and crossing into the United States. Jose Villalobos-Jobel of Honduras was arrested on Nov. 24, after being spotted standing on the U.S. side of the border. Just because this one bad hombre was alone when he was caught doesn’t mean he traveled alone or that there aren’t more of them mixed in the mobs. https://t.co/0ZRMPNXrDS via @BreitbartNews. Of course he CAN’T be MS-13 or that would negate the entire idea democrats have that all immigrants are harmless! A TX Teacher must have run over herself, Steinle shot herself & Mollie just laid down in a field & died! Coddling fools! Hey @CNN, @NBCNews, and @MSNBC! You told us they weren’t coming. Then you said there aren’t criminals in the imaginary caravan? HEY DEMOCRATS, here’s one of your innocent caravan members!! All these caravans want is a good place to live, eh? Hey, Acosta, can this guy stay at your house for awhile? Pelosi would call him a patriotic dreamer. How many in the caravan are gangbangers already deported and coming back here which makes them felons? But the mainstream media still claims the caravan gives ups nothing to worry about. I wonder how many of those reporters will invite some of those 600 criminals to their house.